Trafi: Autovertaamo on paikka, josta voi katsoa, mitä sähkö- ja hybridiautoja on myynnissä Suomessa. Myös hinta- ja verotustiedot eri käyttövoimavaihtoehdoilla selviävät sieltä. In late January, Audi sent its first fully electric-powered SUV onto the slopes where the world’s best ski racers battle for victory in the Hahnenkamm Race. The specially equipped Audi e-tron climbed the “Mausefalle” on the legendary “Streif”. With an 85 percent gradient, it is the steepest section of the spectacular downhill course. With an 85 percent gradient, the “Mausefalle” is the steepest section of the famous “Streif” downhill course in Kitzbühel. To climb this passage, the Audi e-tron technology demonstrator was equipped with the triple motor powertrain originally shown when the e-tron SUV concept made it's debut in 2015. With two electric motors on the rear axle and one electric motor on the front axle, (the production e-tron has only one motor per axle) the technology demonstrator achieved a total boost output of up to 370 kW and wheel torque of 8,920 Nm (6,579.1 lb-ft). This ensured full performance on the steep gradient. Audi also modified the software with respect to drive torque and torque distribution for the special conditions on the “Streif”. 19-inch wheels with spikes developed specifically for this driving event provided the necessary grip on snow and ice. “Conquering an 85 percent gradient sounds impossible at first,” says Mattias Ekström, who was behind the wheel of the Audi e-tron technology demonstrator. “Even I was impressed with the way this car handles such difficult terrain,” adds the World Rallycross champion and two-time DTM champion. He considers this event to be one of his most extraordinary experiences. For the greatest possible safety, the Audi e-tron technology demonstrator was equipped with a roll cage and a racing seat with a six-point harness. The vehicle itself was equipped with a belay, through which a safety cable was run. There was no pulling device. Audi had a strong partner at its side for this project: the Austrian beverage producer Red Bull. The two companies are long-standing partners of the Hahnenkamm Race and conducted this event together. The Audi e-tron technology demonstrator also illustrated this collaboration with a special set of decals. BorgWarner has acquired two Oregon-based EV powertrain businesses. BorgWarner formed Cascadia Motion LLC to acquire assets and merge the operations of the companies – Rinehart Motion Systems LLC and AM Racing Inc. Cascadia Motion will explore the wide variety of electric and hybrid propulsion solutions for niche and emerging applications. "Rinehart Motion Systems and AM Racing are two established companies in the speciality electric and hybrid propulsion sector," said Hakan Yilmaz, Chief Technology Officer at BorgWarner. "Bringing them together as Cascadia Motion will allow us to offer design, development and production of full electric and hybrid propulsion systems for niche and low-volume manufacturing applications." 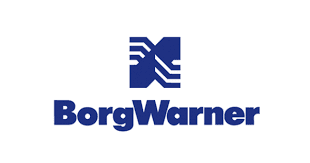 BorgWarner have progressively acquired a portfolio of electric powertrain businesses including Remy in 2015 for $950 million and Sevcon in 2017 for $200 million. Cascadia Motion will leverage the proficiencies of both companies into a start-up atmosphere designed to incubate new technologies. Rinehart Motion Systems brings expertise in propulsion inverters and controls for electric and hybrid electric vehicles in professional motorsports, motorcycles, specialty road cars, bus, and heavy duty sectors. AM Racing designs and manufactures single- and dual-core electric motors (based on Remy cores) and gearsets used in all these same market segments. The new merged company will expand the company's ability to support a wide variety of customers with small scale projects, specialty products, and low volume manufacturing needs. In addition, BorgWarner's global production facilities can be utilized as Cascadia Motion customers grow to require high-volume production. The world's first racing series for all-electric Formula vehicles is growing steadily in popularity. Following in the footsteps of manufacturers like Audi, Jaguar and Mahindra, the fifth season will see BMW and Nissan joining the series with factory teams. Mercedes and Porsche are planning a factory-backed entry in season six. New rules this year will usher in many changes. The Gen2 car will celebrate its debut on the track with double the battery energy storage capacity of its predecessor, the Gen1 car. This means it can complete the entire race without the mid-race car swap previously necessary. The Gen2 car has increased power output of 250 kW, accelerates from 0 to 100 km/h in 2.8 seconds and has a top speed of 280 km/h. Venturi will be sending former Formula 1 drivers Felipe Massa (BR) and Edoardo Mortara (SUI) on the hunt for points this year. 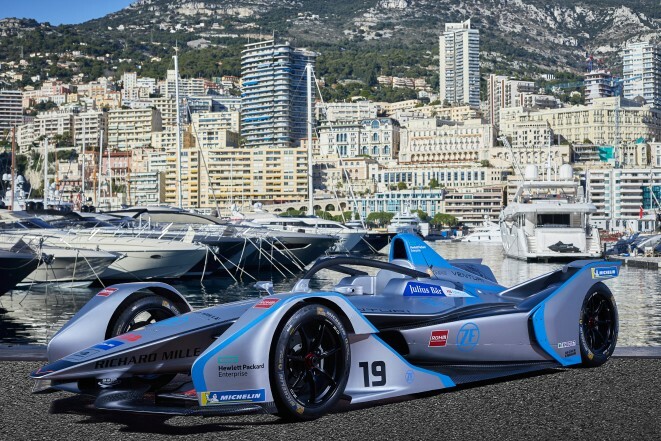 The German HWA Racelab team will enter the Formula E as a Venturi customer team and acquire its vehicles from Monaco-based Venturi. Accordingly, the electric ZF driveline will be in no less than four vehicles in the starting line-up for the new season. As part of their partnership, ZF has supplied the Monaco-based Venturi team with shock absorbers for its cars and developed a new transmission for season four. Mid-December will mark the first time Venturi takes to the track with a complete newly developed driveline from ZF. In addition to an improved transmission, the driveline also includes newly developed power electronics and electric motor. "The speed of development in professional motorsports is extremely fast. Because the requirements for the overall system were unclear for such a long time, we had to make many short-term changes and build contingencies into our development work," explains Tobias Hofmann, Technical Project Manager Electric Axle Drive Formula E. "In the end, our success hinged on good, Group-wide cooperation. In addition to the E-Mobility division, ZF Race Engineering and ZF Advanced Engineering also played key roles in the development of the driveline." The entire system is the first electric driveline from ZF that has been developed purely for use in motorsports. In addition to extreme performance and torque density, the Formula E driveline has much greater efficiency than typically seen in series applications. It clearly exceeds most key performance data from season four. An entirely new concept has also been implemented for the interplay regarding the suspension of the electric motor and the transmission. Because engine output is regulated in Formula E, power transfer is extremely important. "In order to stay competitive in the fight for best lap times, we needed to make significant changes to the transmission design. For the first time, this new transmission uses a single-gear concept as well as new materials, such as a metallic lightweight alloy for the transmission housing. The new concept has enabled us, once again, to reduce the transmission weight substantially; by nearly 40% compared to the previous season’s design," says Hofmann. "The new driveline has enabled a significant increase in efficiency as well." The inverter, also newly developed, is ZF's first power electronics product with high-performance silicon-carbide modules. The casing for the inverter is made entirely of carbon fiber reinforced plastic. The intelligent control software is based on years of testing in volume production and has been specially adapted to the special demands of motorsports. Norbert Odendahl, CEO of ZF Race Engineering, is looking forward to an exciting season: "In addition to our classic core motorsports products such as shock absorbers and clutches, we now want to use the new ZF electric driveline to highlight our competence in top flight motorsports and electromobility, particularly under the toughest of conditions. Formula E provides the optimum platform for us to do just that." BMW and industrial companies involved in the research project “FastCharge” yesterday presented the latest advancements in the field of fast and convenient energy supply for electrically powered vehicles. The prototype of a charging station with a capacity of up to 450 kW was inaugurated in Jettingen-Scheppach, Bavaria. At this ultra-fast charging station, electrically powered research vehicles created as part of the project are able to demonstrate charging times of less than three minutes for the first 100 kilometres of range or 15 minutes for a full charge (10-80 % State of Charge (SOC)). The new charging station can be used free of charge right away and is suitable for electric models of all brands with the Type 2 version of the internationally widespread Combined Charging System (CCS), as is commonly used in Europe. 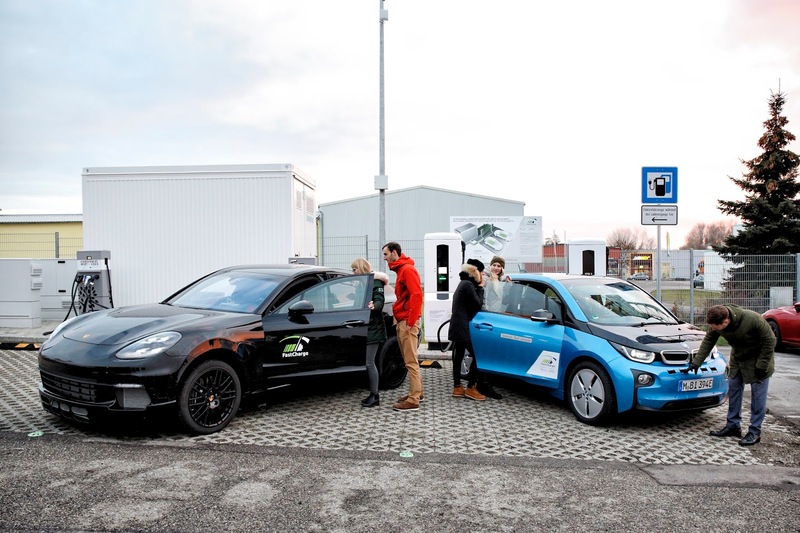 The research project “FastCharge” is being run by an industry consortium under the leadership of the BMW Group; its other members are Allego GmbH, Phoenix Contact E-Mobility GmbH, Dr. Ing. h. c. F. Porsche AG and Siemens AG. “FastCharge” is receiving total funding of EUR 7.8 million from the Federal Ministry of Transport and Digital Infrastructure. The implementation of the funding directives is being coordinated by NOW GmbH (National Organisation Hydrogen and Fuel Cell Technology). Fast and convenient charging will enhance the appeal of electromobility. The increase in charging capacity up to 450 kW – between three and nine times the capacity available at DC fast-charging stations to date – enables a substantial reduction in charging times. “FastCharge” is investigating the technical requirements that need to be met in terms of both vehicles and infrastructure in order to be able to tap into these extremely high charging capacities. The basis is provided by a high-performance charging infrastructure. The Siemens energy supply system being used in the project enables researchers to test the limits of the fast-charging capacity demonstrated by vehicle batteries. It can already handle higher voltages of up to 920 volts – the level anticipated in future electrically powered vehicles. The system integrates both the high-power electronics for the charging connections as well as the communication interface to the electric vehicles. This charge controller ensures the output is automatically adapted so that different electric cars can be charged using a single infrastructure. The system’s flexible, modular architecture permits several vehicles to be charged at the same time. Thanks to high-current, high-voltage charging the system is suitable for a number of different applications, including fleet charging solutions and, as in this case, charging along highways. In order to link the system to the public power grid in Jettingen-Scheppach as part of the project, a charging container was set up with two charging connections: one provides an unprecedented charging capacity of max. 450 kW while the second can deliver up to 175 kW. Both charging stations are now available for use free of charge for all vehicles which are CCS-compatible. The Allego charging station prototypes now presented use the European Type 2 version of the well-established Combined Charging System (CCS) charging connectors. This standard has already proved successful in numerous electrically powered vehicles and is widely used internationally. In order to meet the demands of fast charging at high capacity, cooled HPC (High Power Charging) cables made by Phoenix Contact are used, which are fully CCS-compatible. The cooling fluid is an environment-friendly mixture of water and glycol, allowing the cooling circuit to be half-open. This makes maintenance comparatively straightforward as compared to hermetically sealed systems that use oil, e.g. in terms of refilling the cooling fluid. One challenge was ensuring that the cooling hoses in the charging line were not squeezed when connected to the charging station, as would happen with a conventional cable gland. In the present instance this would impair the cooling flow and therefore cooling efficiency. This problem was solved by Phoenix Contact by means of a specially developed wall duct with defined interfaces for power transmission, communication and cooling as well as integrated tension relief. Depending on the model, the new ultra-fast charging station can be used for vehicles fitted with both 400 V and 800 V battery systems. Its charging capacity automatically adapts to the maximum permitted charging capacity on the vehicle side. The time saved as a result of the increased charging capacities is demonstrated in the example of the BMW i3 research vehicle. A single 10-80 % SOC charging operation now only takes 15 minutes for the high-voltage battery, which has a net capacity of 57 kWh. This can be achieved on the vehicle side by means of a specially developed high-voltage battery combined with an intelligent charging strategy. The latter includes precise preconditioning of the storage temperature at the start of charging, temperature management during the charging operation itself and a perfectly coordinated charging capacity profile over time. The charging operation is carried out via a novel multi-voltage network on the vehicle side using a high-voltage DC/DC (HV-DC/DC) converter, transforming the required 800 V input voltage of the charging station to the lower 400 V system voltage of the BMW i3 research vehicle. The HV-DC/DC system also gives the vehicle reverse compatibility, allowing it to be charged at both old and future charging stations. A key factor in ensuring reliable operation is secure communication between the vehicle and the charging station. For this reason, standardisation issues relating to interoperability are also being investigated and submitted to standardisation bodies. The Porsche research vehicle with a net battery capacity of approx. 90 kWh achieves a charging capacity of more than 400 kW, thereby allowing charging times of less than three minutes for the first 100 km of range.